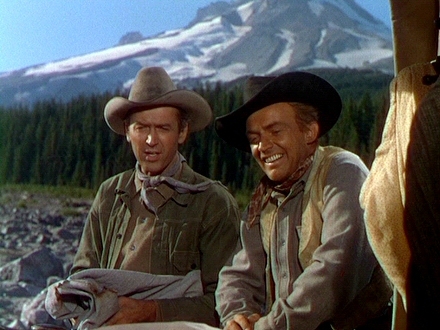 BEND OF THE RIVER is a colorful 1952 western with James Stewart as a reformed outlaw, leading a wagon train to Portland, contending with friend-turned-foe Arthur Kennedy, who hijacks said train. Nothing much of note except the Oregon scenery, showcased by lovely views of the Cascade Mountains, their forests and streams. Look for Mt.Hood and the Sandy River. 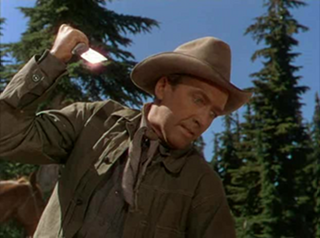 Everything else is familiar, professionally handled by director Anthony Mann in 91 minutes. 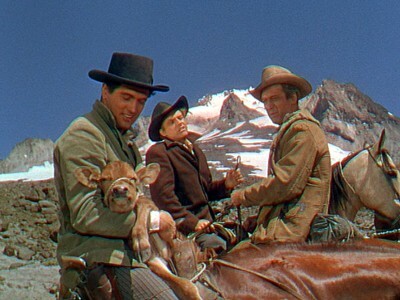 Stewart and Kennedy are fine, Julia Adams is pretty, Rock Hudson earnest. Stepin Fetchit does his shuffling imbecile bit enough to guarantee you’ll cringe. Plenty of action keeps things moving briskly. With Lori Nelson, Jay C.Flippen, Harry Morgan, Frances Bavier, Chubby Johnson, Royal Dano, Jack Lambert. It made a handsome sweep of $8,300,000, making it the 17th most popular movie of the the year.